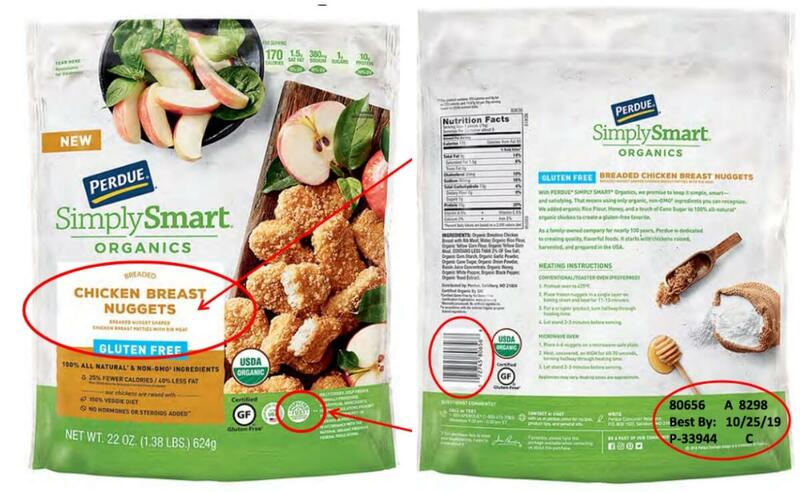 Perdue Foods LLC has recalled 68,244 pounds of ready-to-eat chicken nugget products. The US Department of Agriculture Food Safety and Inspection Services believes it is contaminated with wood. The product has establishment number P-33944 on the label and were shipped to retail locations nationwide. The problem was discovered by 3 consumers that found wood int he product as well as through the FSIS complain montitoring system. There have been no confirmed reports of injury or adverse reactions.